Chap Goh Mei or the fifteenth day of the Lunar New Year is a special day on the Chinese calendar. 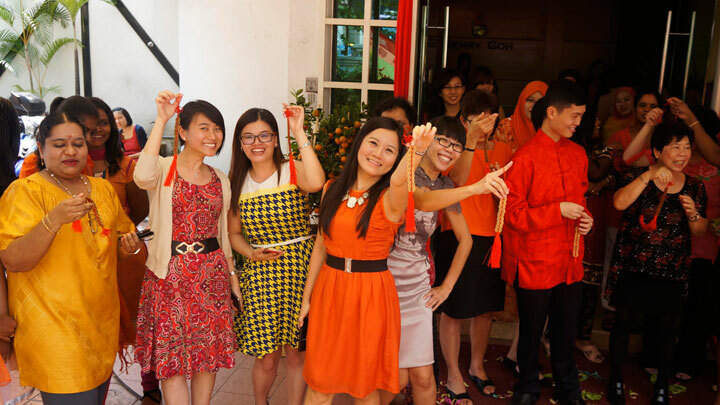 It is normally referred to as Chinese Valentine’s Day and as it turned out, it was a truly memorable one for the People of Henry Goh. 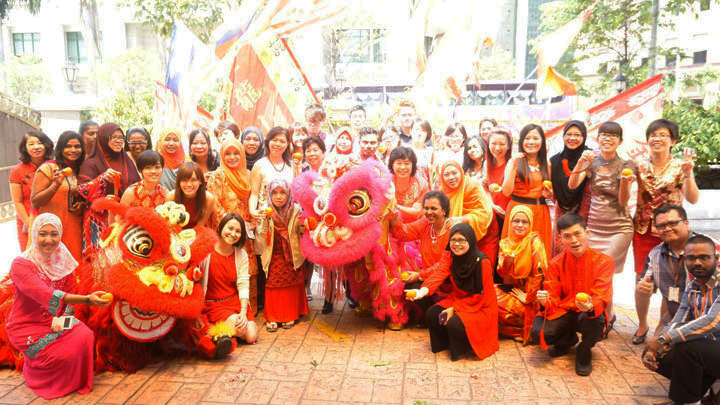 The Annual Chinese New Year Staff Lunch was preceded by a spirited performance of the Lion Dance by a group of youths specially invited for the event. They pranced and danced with youthful vigour to the thundering drum beats which could be heard half a mile away; according to tradition, the louder the better! 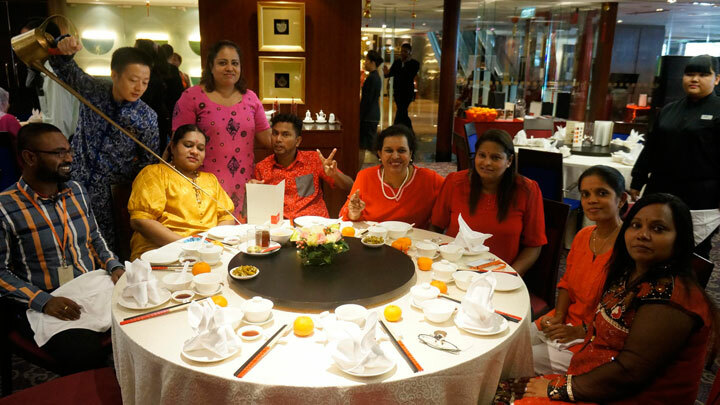 Thereafter, the Staff were treated to a sumptuous eight-course lunch at the nearby Park Royal Hotel. 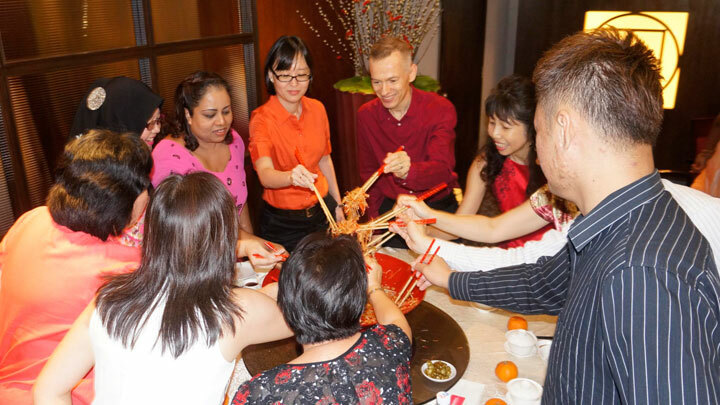 There was the traditional tossing of the yee sang to ensure abundance and prosperity in the forthcoming year. It was followed by the Annual Awards ceremony. The Head of our IT Department, Miss Malathi, received the Quarter Century Award as Longest Serving Employee to much applause and congratulatory hugs and handshakes. May the rest of the year bring us more cause for celebration. GONG XI FA CHAI!